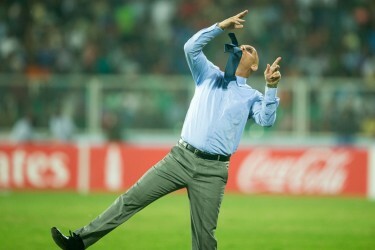 Prathamesh works under the tag 'hair-monster' and already has a cult following in Indian footballing circles. . .
Robin Singh is probably one of the most stylish and sought after footballers in India. If there’s one man who’s been key to his transformation, it is Mumbai’s ‘hairmonster’: Prathamesh Sawant. Prathamesh began as a footballer and like so many in India, loves the sports and wants to do anything in his powers to help it make better. Being born and brought up in Borivali, Mumbai, Prathamesh always knew his calling: Football and hair-styling. He played and captained at the school and college level, and also participated in various Mumbai local leagues. So what made hair-dressing so obvious? “My family owns this saloon for a couple years now. I was in 7th when my family started the saloon and I was into it. I know I had to do it,” says Prathamesh, without mincing words. 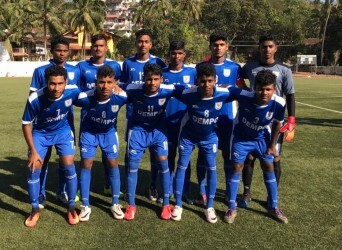 Before leaving for the friendly against Cambodia, the Indian team were camping at the Andheri sports complex and Prathamesh was the one who took care of the hair before an important international trip which will see the national team play an Asian Cup qualifier against Myanmar. Talking about the Indian players, we asked him about the most stylish and laid-back footballers in the country. There are a lot of talks about the lack of funds in the game in India and Prathamesh knows about it. In days when normal people shell out a good 3-4k on a haircut every month, Prathamesh believes in keeping the cost right. “I charge very nominal per cut. I have tried to keep it reasonable and not over charge them. It’s not about the money it’s about the opportunity to work with these guys. The pleasure of cutting hair of players whom I use to idolise is a great sense of achievement for me,” Prathamesh says his heart out. “Players have to travel a lot and so, they end up getting haircuts at different places. Most of the time, I have to do fix ups rather than cutting a new hair-style. So I try to give them a perfect look with the least available resources.” Prathamesh said. Talking about foreign players, Prathamesh said, “I’ve styled Lucio (FC Goa’s World Cup winner), Sony Norde and Gerson Viera, Leo Costa and Matias Defederico from Mumbai City FC.” We can safely deduce he’s the unofficial hair-dresser of Mumbai City FC. Besides these players, former Mohun Bagan and DSK Shivajians midfielder Haroon Amiri is one of his loyal customers. He regularly visits Prathamesh and once, the Hair-monster flew to Pune to give the Afghan captain a cut. 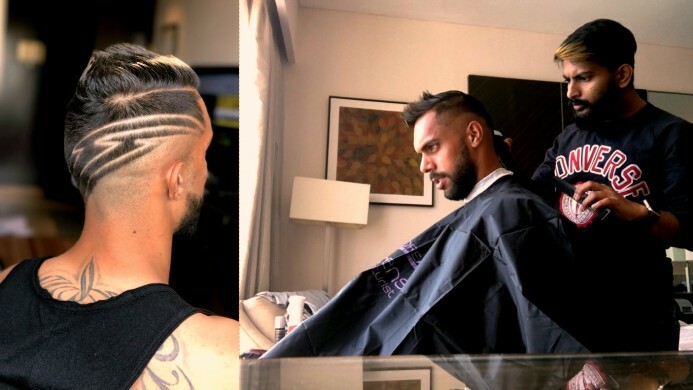 Robin Singh made headlines when he got the infamous Aaron Ramsey cut. There’s a teeny-tiny story to the incident and Prathamesh tells us about it. 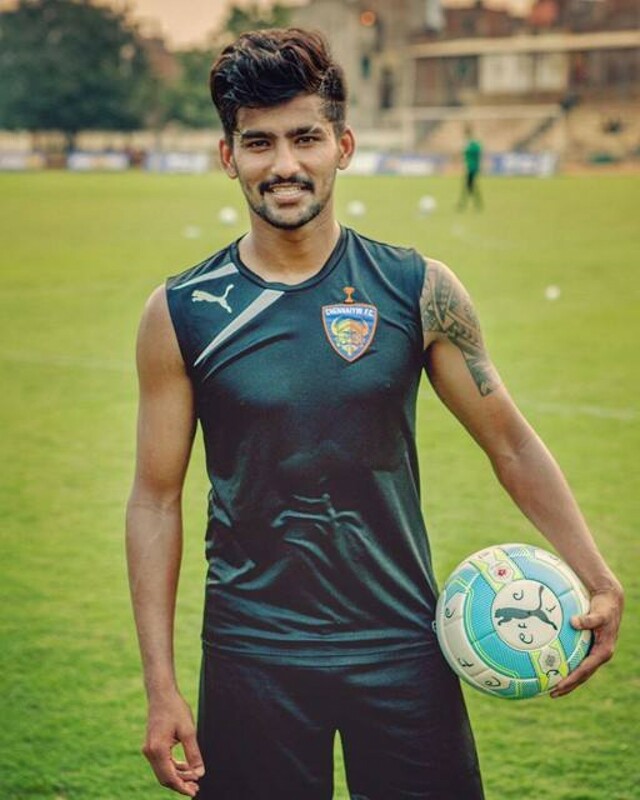 Besides hair-dressing, Prathamesh also knows a bit about football and rates Sunil Chhetri, Gurpreet Singh Sandhu and Pronay Halder as his favourite three Indian footballers. Singling out in terms of best hair, Prathamesh chooses former Manchester United and Real Madrid superstar David Beckham with the best hair. “As I am an Arsenal fan, Oliver Giroud would be one footballer from the current lot. He has excellent hair. One player, I would like to give a haircut would be Mesut Ozil. My friends always joke that someday he is going to call me and ask for a haircut.” Well, that’s not too far off a dream Prathamesh, we hope. Apart from football, Prathamesh recently got a chance to cut Indian batsman Shreyas Iyer. We asked him about the experience and Prathamesh told us that Shreyas was the first cricketer he has worked with.